It's taken me a while to warm up to Kate DiCamillo, and I still haven't read her most popular books, Because of Winn Dixie and The Tale of Despereaux. 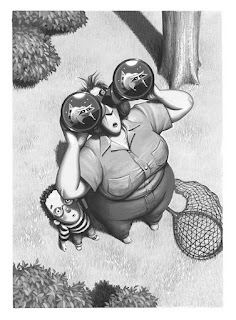 But I do like her weird sense of humor and the curious characters she created in books like the Mercy Watson series, which I reviewed here in 2010. The Bink & Gollie trilogy, which she created with Alison McGhee and Tony Fucile, as an absolute winner for emerging readers not quite ready for Mercy Watson. And now, happily, readers who are ready for something a little meatier (no pun intended) that Mercy Watson can dig into the Tales of Deckawoo Drive, which finds minor characters from the Mercy Watson books getting longer stories of their own! Last year, the first book in the series, Leroy Ninker Saddles Up, found the hapless thief from Mercy Watson Fights Crime taking on a new adventure - becoming a horse owner to complete his cowboy dreams. 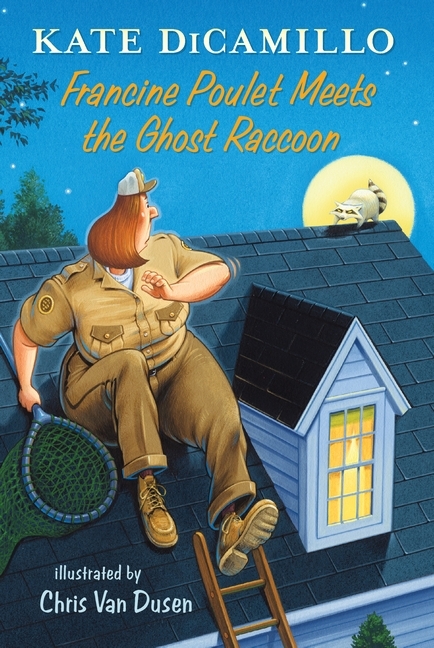 Now, we find the animal control expert who first appeared in Mercy Watson Thinks Like a Pig taking on a new challenge in Francine Poulet Meets the Ghost Raccoon! Francine Poulet comes from a long line of animal control officers. Her grandmother Nanette Poulet was even an animal control officer! And she has won forty-seven trophies for her work. She also happens to be the Gizzford County record holder for the most animals controlled. She even faced down a bear once. Then Francine gets a strange call from Mrs. Bissinger, who ends every utterance with the sentence, "And so on." 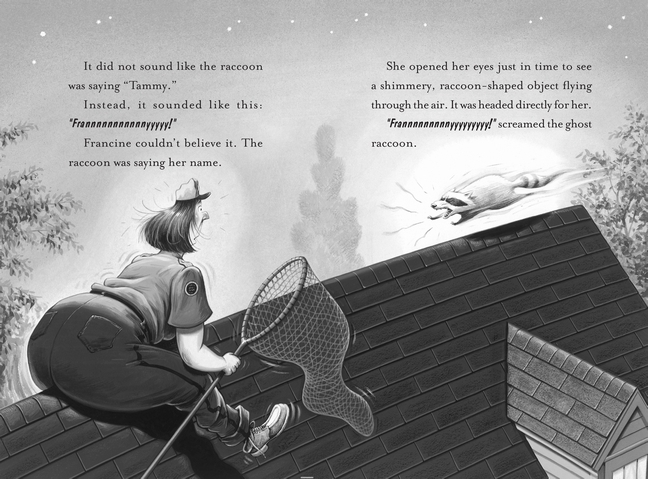 It seems that there is a raccoon on her roof. A raccoon that shimmers and screams her name (Tammy) like a banshee. Maybe this is a ghost raccoon? Whatever it is, it shakes Francine's confidence when she is up on the roof, nose to nose with it and it seems to be screaming HER name! Francine's body and ego are badly bruised and very broken by her fall off the roof - despite her assurances that she is "solid as a refrigerator." How Francine heals - physically and emotionally - and how she comes to believe that she is indeed the "genuine article" when it comes to excellence in animal control take up the rest of the story, which culminates with a visit to the roof of the Lincoln sisters's house and later buttered toast and tea at the home of the Watsons. With Francine Poulet Meets the Ghost Raccoon and Leroy Ninker Saddles Up DiCamillo has written stories that seem a little silly and ridiculous at first but are deep with underlying themes of self knowledge, working hard for what you want - even if you have no idea what to do when you get it - and challenges to confidence. These books are inhabited by complex characters who are as thoughtful as they are laughable and ultimately inspiring. These are characters you will want to return to. You might even find yourself reading the Mercy Watson series again!